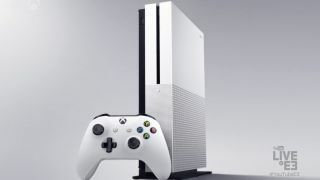 Microsoft's slimmer Xbox One S squeezes past the "Australia Tax"
Microsoft didn't beat around the bush with the reveal of its new Xbox One S console earlier today, touting a surprisingly affordable starting price of US$299 at the beginning of its E3 2016 conference. Though the US price point converts to around $405 in Australian dollars, making it seem like the dreaded "Australia Tax" is in full effect once again, that's only for the lowest model. In fact, only the 2TB Xbox One S has been priced in Australia, appearing on Aussie retail websites with a RRP of $549 – this puts it exactly in line with the 2TB model's US pricing, effectively skipping over the "Aussie Tax" entirely. Also, as of today, existing Xbox One consoles have received a price drop in Australia, with the 500GB version now selling for $399 and the 1TB version now listed at $499. Regardless of its marked-up Australian price point, it must be said that the Xbox One S console's 4K video functionality will make it the most affordable 4K Ultra HD Blu-ray player in Australia when it launches in August – Samsung's UBD K8500 player is currently the cheapest player available locally with a price of $599. On that front, the Xbox One S is pretty good value. However, we have to wonder if its worth buying into with Microsoft's beastly Project Scorpio console coming next year.